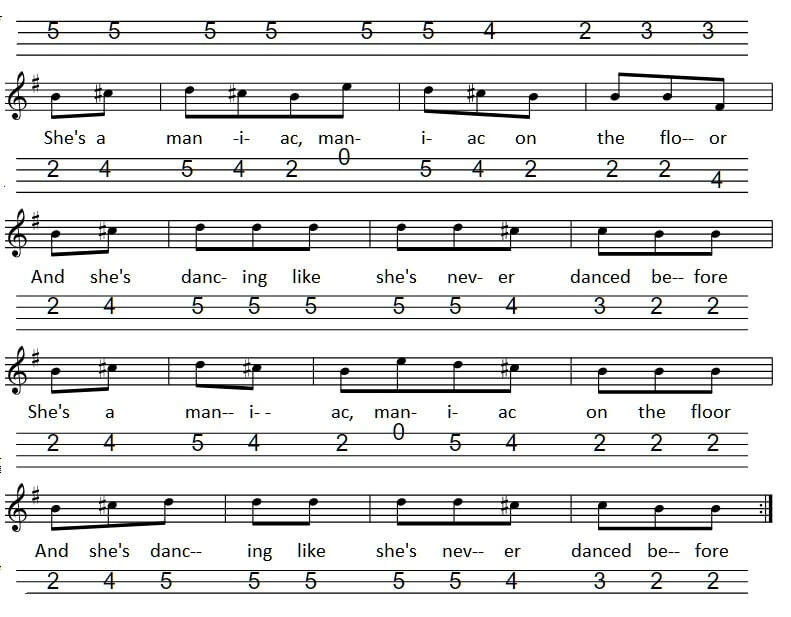 Maniac sheet music for the tenor banjo and mandolin. Recorded by Michael Sembello. The easy to follow letter notes are included.